After 4 weeks it visibly reduces fine lines and wrinkles, dark circles and puffiness. Calming and restorative, rich in antioxidants provided by a cocktail of superberries like Goji, Raspberry, Pomegranate, Cranberry and Blueberry and rich in Vitamin C, I*Light fights skin damage and cellular oxidation that causes premature aging, by excessive free radical activity. I*Light is the only eye treatment you will ever need and it will become your #1 favorite product. It offers quadruple action. 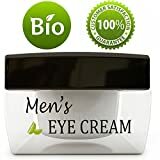 Unique blend of natural oils and plant extracts instantly smooth out fine lines and wrinkles, de-congests and lightens the eye area, instantly minimizing visible under eye shadowing and puffiness. 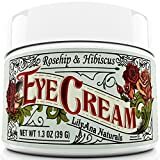 Combination of Kojic Acid and Milk Thistle repair sun damage and sun spots, hence improve and brighten up overall eye area, while Caffeine, Horse Chestnut, Arnica, and Ginkgo Biloba improve blood circulation acting as decongestants, reducing water retention, shadows and puffiness. 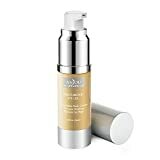 THIS POTENT ANTI AGING EYE CREAM is considered to be one of the most effective available. It contains Matrixylsynth 6, algae extract, carrot root extract and coffee seed extract which we guarantee will restore a youthful glow to your tired eyes.